restyle design specializes in creating timeless interiors that reflect the individual style of its clients. We love to work with existing pieces and design spaces that feel “collected” and not “purchased”. restyle design creatively sources projects so that each space has a unique look and character all its own. 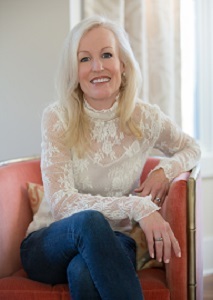 Susan Kosonocky started restyle design in 2009 in order to pursue her passion for interior design. Her background includes 10 years of experience as a buyer and merchandiser for Bloomingdale’s and J. Crew in New York City, and 10 years of experience selling real estate and staging homes in Fairfield County, Connecticut. As a mother of three boys, she understands the need for a home to be functional as well as beautiful.